It’s a pretty powerful word. This word has inspired countless men and women to lay down their lives for what they believe in. This world is what our country has been built on. And it is because this word is so powerful that we are devoting this post to what freedom means to us. Many people would argue that we have to give up some of our freedom as we grow older. We have more responsibilities now. We have a job where people count on us, we have a family to support, we have retirement to save for. There are so many things that we have to do, so it just makes sense that we have to give up some of our freedom. Well, those of us at The Back Forty have a problem with that belief system. Why do we have to give up our freedom as we grow older? 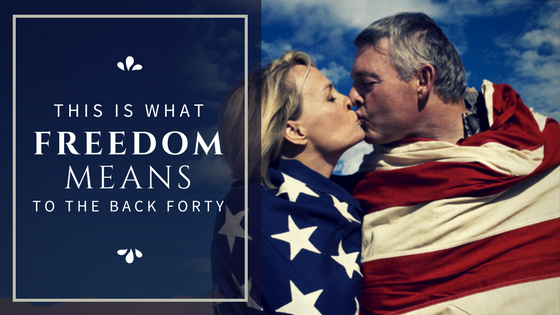 If anything, we should be gaining more freedom as we age, not the other way around. We believe that midlife freedom means moving out of our comfort zone. Whether you are on a quest to Find Your Bliss or just trying to Become Comfortable in Your Own Skin, you must be willing to move out of your comfort zone. We believe that midlife freedom means letting go of our past. It is easy to let our past define who we are today but we believe that you can Stop Investing In Your Viewpoints and Ditch Your Past Struggles to create a better (and freer) future for yourself! We believe that midlife freedom means being willing to play. Whether you need a reminder that your Midlife Crisis is Just a Game or if you have decided that you need a Fresh Start, we believe that you have to remember how to play along the way. 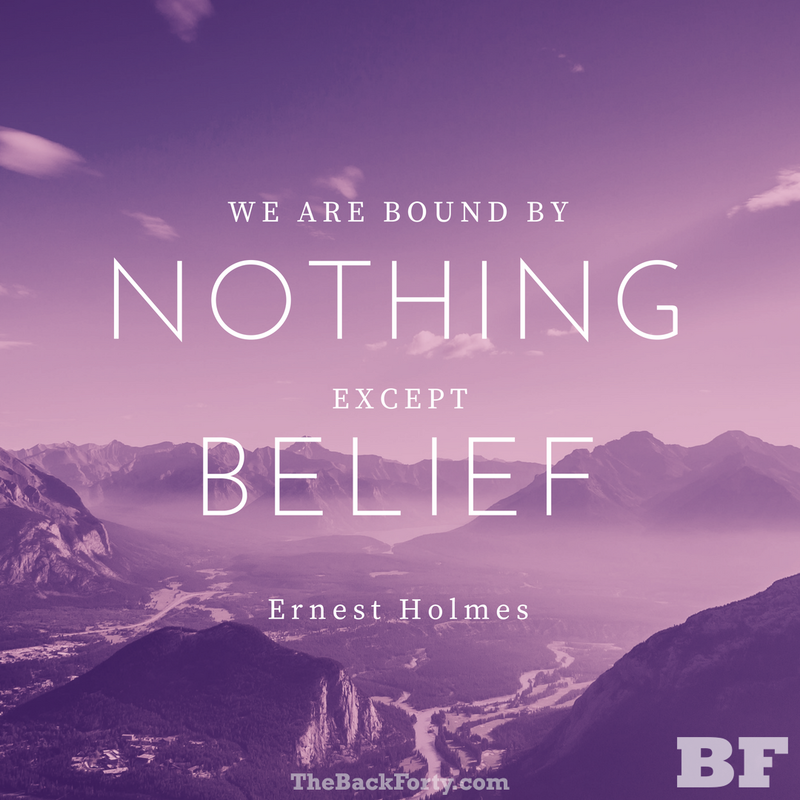 We believe that midlife freedom means finding our purpose. Regardless of if you currently feel like you’re Failing Your Midlife Experience or if you just haven’t taken the time to Consider Your Purpose recently, we believe that your personal freedom has a lot to do with that purpose. We believe that midlife freedom means believing in our future. Wherever you are on your midlife journey you have to believe in your future. Whether you still feel that you need to Free Yourself From Your Past or if you need a reminder that You Are In Control, believing in your future is the first step toward freedom. There are so many things that we believe freedom means but, however you define freedom, we hope that you CELEBRATE YOUR FREEDOM today!